Ladders come in a variety of sizes. What they don’t come in is a storage case. And most ladders, those bought at hardware stores, at least, don’t make for great living room centerpieces. If you don’t have a garage, large closet or outdoor shed to stash a ladder, you may need to come up with some creative ideas for storing it. Try stashing the ladder under your bed. If you already have your off-season wardrobe there, it’s likely you can more easily stuff a bunch of sweaters in the corner of a closet. The ladder, however, can’t be folded up so easily. 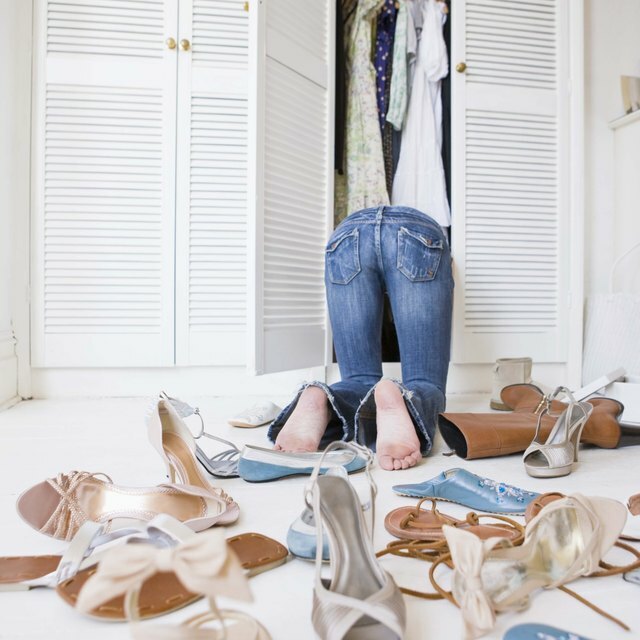 You’ve already established that you can’t stand the ladder up against a wall in your closet. Have you tried lying it down on floor? And if it does in fact fit horizontally, just tip it on its side and push it up against the wall. If you find yourself changing light bulbs or cleaning gutters more than a few times a month, make an effort to keep items from blocking the ladder. Do you have a piece of furniture longer than the ladder? Stash the ladder behind a sofa, media center, long dresser, or even behind your bed. If you have a full or queen-size bed with a nightstand on each side, it’s probably long enough to camouflage the ladder. Most newer homes and apartments have laundry rooms or closets. You already determined that short of hanging the ladder on the ceiling, there’s simply no room. Well, why can’t you hang the ladder on the ceiling? Buy hooks at the hardware store. Screw them into the beams in your ceiling (beams are generally between 16, 18 and 24 inches apart). Of course, if you have high ceilings in your laundry closet, you’ll never get the ladder up there in the first place. There’s no reason you can’t keep your ladder outside. You don’t want to anger your neighbors with an unsightly ladder leaning against a wall, though. So lay it on its side and cover with a neutral-colored, water-resistant cover. One that fits over a large picnic table should work. This will keep a wooden ladder from warping and a metal ladder from rusting.